William Council, professionally and affectionately known as “Coach Billy” is a 32 year veteran of the legendary New York City basketball circuit. This Harlem native developed his passion for the sport as a young athlete, and has since devoted the past 19 years of his life to instilling values, morals and discipline in today’s youth through the art of basketball. 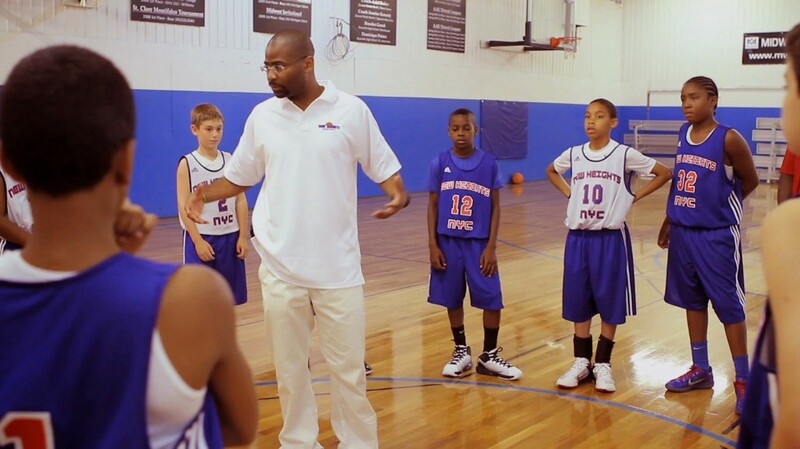 In 2012, Coach Billy co-founded, and became the Athletic Director for the New Renaissance Basketball Association also known as “The Rens”, where he exemplified his stellar capabilities of turning out some of New York City’s most sought after up and coming basketball stars. Even though coaching is where Billy Council’s passion meets his purpose, he would like to leave a greater impact on his community that he holds so dear. 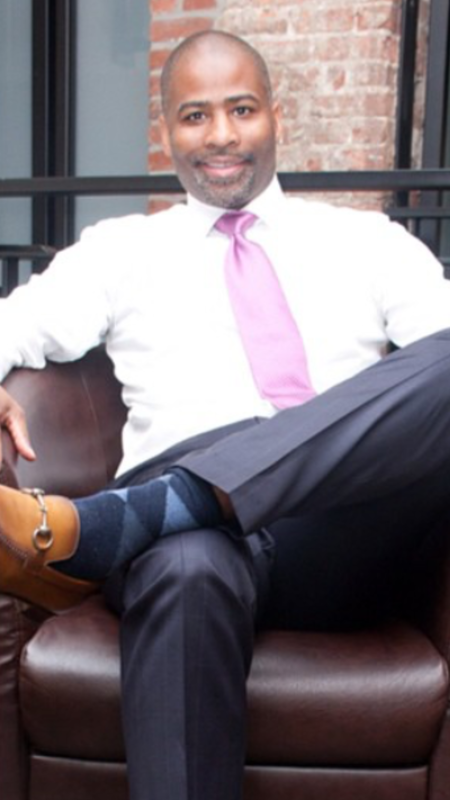 He developed a non-profit organization (Team New York) community-based outreach initiative aimed at grooming today’s youth to become educated, service oriented, professionals with the desire to uplift, and plant the seeds of success in their own community. To extend his purpose, in 2018 Coach Billy also introduced #COUNCILHIM LLC., a male conference designed to inspire, empower and equip African American men to transform their personal lives, family lives and communities by promoting positive self-image and fostering mentoring and learning opportunities. I was a young athlete turned professional basketball coach. I spent over 20 years instilling values, morals and discipline into some of New York City’s up-and-coming, most sought after basketball stars. But when one of my sisters tapped me to launch a restaurant in my community of Harlem, my love for the culinary arts coupled with my background in management and coaching, gave birth what we now know as Cove Lounge. I would say one of the funniest stories would have to be when I decided to play chef one night and test some new menu items on a pre-selected group of people. I have such a love for cooking, but after the wait staff served my sister and her husband, it was clear that I was better served managing the team. One of my biggest challenges professionally has been adjusting to life a General Manager of Cove Lounge after being a professional basketball coach. From then to now, I overcame the challenge by not only working hard to understand the industry, but also by applying some of the same principles of teamwork, accountability and ownership as I did on the court. It’s helped me build a solid team that I can truly rely on. To me true leadership is about inspiring and motivating people to deliver their very best. To be a leader one must have a vision, a plan, and employ the right individuals with passion to get to our desired goal. I inspire others to lead by being an example of hard work and determination. In addition, I allow my team the space necessary to be themselves and think through the best solutions for every situation. Through everything my family has been my biggest support. I don’t know where I would be without my sisters in my corner. They encourage me everyday to dream big and they are always there to pick me up if I fall. My business is very demanding and with family, friends, loved ones, etc., it can be a lot to juggle. I once was very consumed by getting my business off the ground and now I’m focused on keeping it afloat, but with the right people in place, I’ve been practicing balance and trust. By allowing my team to lead and do what’s best for the business, I give attention to other things in my life that deserve my attention. Yes, being successful requires many things including drive, determination and dedication, and dedication meaning your time, which is compromised when you have many demands. 1) Don’t try to do everything, hire good help who have expertise in the areas you may not. 2) Trust that someone else can do as good as you. 3) Remember that you work hard to enjoy life, so take time to rejuvenate, you’ll come back stronger than ever. 4) Set boundaries, when it’s time for family/friends/loved ones, give them the attention they deserve. 5) Don’t be afraid to say no. 9. What gives you the greatest sense of accomplishment and pride. Hands down, my children. They are the reason I am as driven as I am. They are my best work. The hunger epidemic in the United States is outrageous. The fact that 1 in 6 people faces hunger in a country where there is so much waste, would be where I’d like to inspire a moment for change. 11. What is the best way for people to connect with you on social media? — BC: People can connect with me on Instagram @billycharlem and/or follow @coveloungenyc.